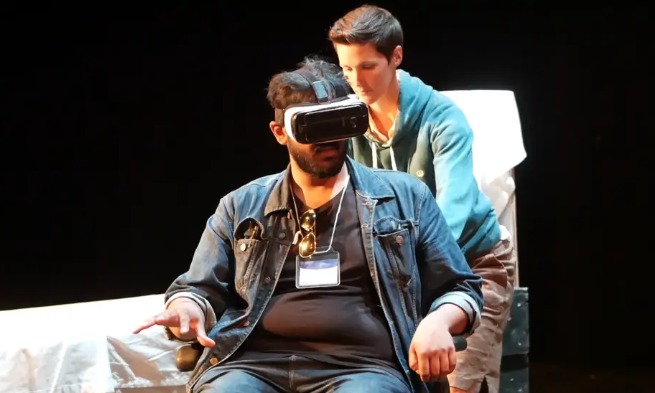 On 12 June 2019 in Kingston, Ontario, HowlRound Theatre Commons and SpiderWebShow Performance will co-produce a one day Digital + Performance Convening that will bring together up to fifty practitioners, curators, and scholars from the US and Canada working at the intersection of performance and digital technology for a day of discussion that aims to break open assumptions and reveal future possibilities for the art form. Interrogate: Where is digital technology now in the performance landscape? How are we using it? What are the opportunities and challenges therein? Where is it going? Demonstrate the Value of Digital: Explore what’s working and its potential. Integrate practical applications into the Convening itself. Exchange: Share knowledge, perspectives, approaches, and concrete tools. This event will kick off foldA, a Festival of Live Digital Art—a four-day event 12-15 June that investigates the ways digital and online technologies are transforming the performing arts. The festival features livestreams, live performances, hands-on workshops, and conversations with some of Canada’s innovative artists.